The practice match (http://www.gcsstars.com/2013/08/national-team-to-play-against-bengaluru.html) between the senior Indian team and Bengaluru FC is going to be a closed door match - yes, you heard that right! No public as well and media will be allowed to enter the during the match time. The match is scheduled at Sunday, August 25, 4 pm, Bangalore Football Stadium. This decision, taken by the team management has been communicated to the state and district football association (KSFA and BDFA). To ensure proper functioning, the authorities might seek help from the cops, perhaps to drive away people who will turn up for the match. What's extremely baffling is that with no cricket happening in the Garden City, this was an ideal time for football to get a good coverage, which would have brought good publicity to the SAFF Cup bound team. However, this doesn't seem to be the case. 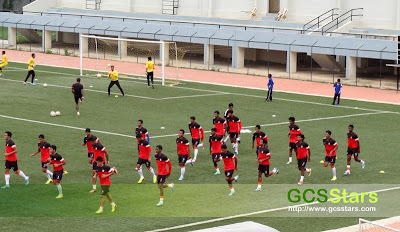 When we see other SAFF teams like Afghanistan and Maldives playing competitive matches, we're content with a 10-day camp, that too on a turf, on which the game will not be played in the SAFF championship.